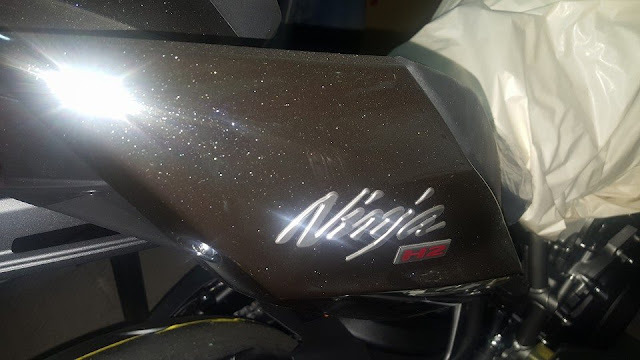 The Kawasaki Ninja H2 has created quite a buzz across the country since the time it was officially announced by the company. The launch of the H2 took place on the 3rd of April 2015 in India with deliveries commencing soon after. Popular cricketer MS Dhoni was one of the first customers to receive the supercharged motorcycle. The first lot of the Ninja H2 consisting of 5 units were sold out prior to the launch itself. The craze for the H2 just doesn’t seem to fade away even after almost a year of its launch. Even though the number of Ninja H2s are limited to less than 10 in India as of now, the number is bound to increase with the new arrivals. With the arrival of the 2016 models of Kawasaki’s range of motorcycles, this model was not as far away as it seemed to be. Here we are referring to the 2016 Ninja H2 which is draped in a shade of mirror coated spark black. 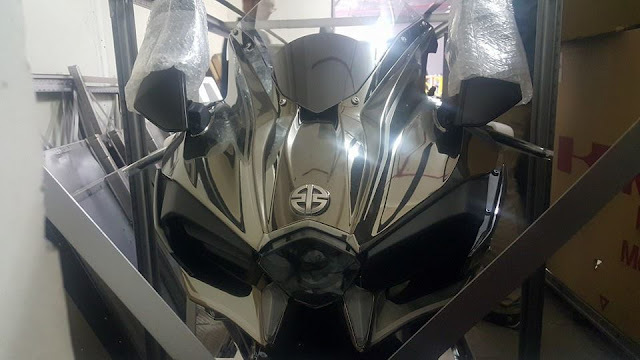 The said model is said to have reportedly arrived yesterday in the city of Pune, Maharashtra and is from one of the many popular super-biker groups out there. The 2016 Kawasaki Ninja H2 comes in a new shade of mirror coated spark black as opposed to the earlier paintjob of mirror coated silver. 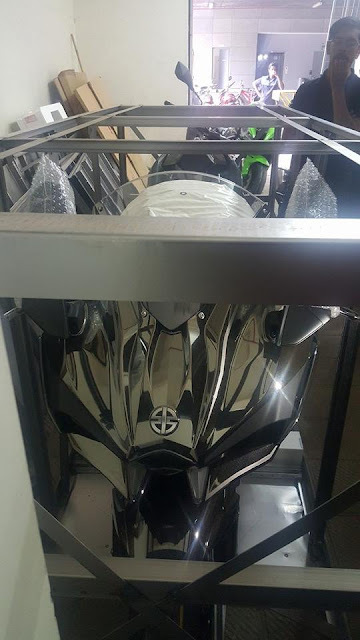 Mechanically, the bike is powered by the same 998cc four-stroke liquid-cooled supercharged DOHC engine that delivers 200 PS of power at 11,000 RPM. But with Ram Air, the output figure increases to 210 PS at 11,000 RPM. The peak torque output stands at 133.5Nm at 10,500 RPM. This power is sent to the rear wheel with the help of a six speed transmission. Safety features in the Ninja H2 include KTRC (Kawasaki Traction Control), KLCM (Kawasaki Launch Control Mode) and KIBS (Kawasaki Intelligent anti-lock Brake System). 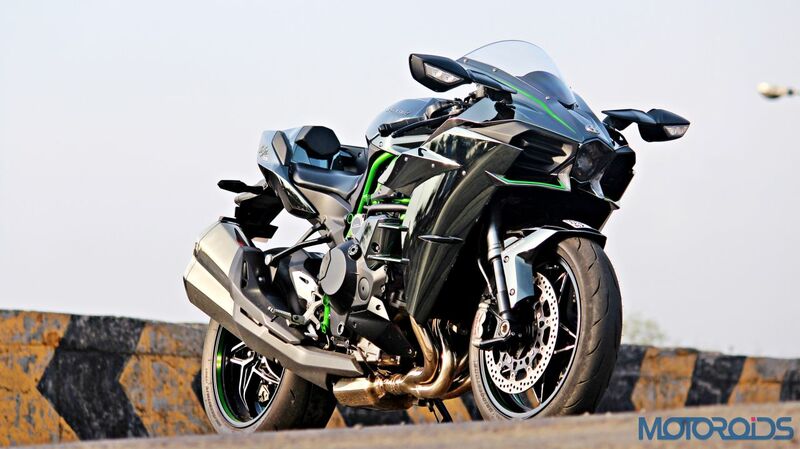 The Kawasaki Ninja H2 comes to India through the CBU route and commands a price of Rs. 29 lakh (Ex-Showroom, Delhi).